Free Delivery within Chennai. For other places, click here. 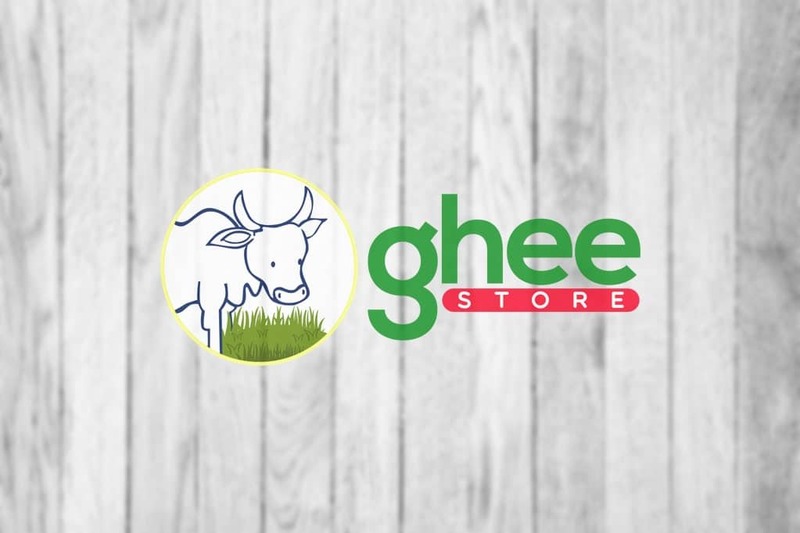 GheeStore offers 100% Pure Cow Ghee, Buffalo Ghee, Uthukuli White Butter, Raw Little Bee Honey, Organic Wild Honey and Cold Pressed Marachekku oil (Unrefined Oil). We have Wood pressed Gingelly Oil / Sesame Oil / Nallaennai, Organic Safflower Oil, Groundnut Oil, Coconut Oil, Safflower Oil, Castor Oil etc., First of all, Our Pure Desi Ghee is prepared using traditional method and our cows are grass fed cows. Also we do not use any chemicals or preservatives in any of our products. Cold Pressed Oil / Marachekku oil / Mara Chekku Ennai / Unrefined Oil is an edible oil which is extracted by wood pressing the the oil seeds or kernels such as groundnut, coconut or sesame or safflower oil at room temperature. This process will ensure that nutrients, live enzymes and anti-oxidants are kept available in the oil. Chekku Oil is also known as marachekku Ennai in Tamil – Cold Pressed Oil in English. 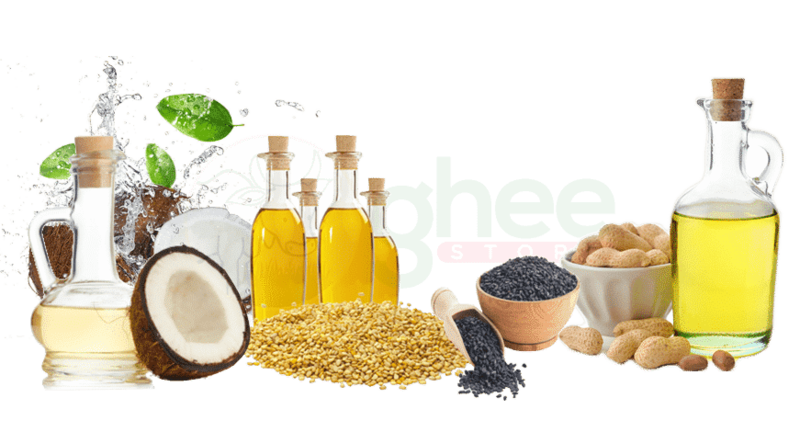 We at GheeStore – India’s first exclusive online store for Pure Ghee & Oils has launched an online ghee / chekku oil online store for Indians to buy pure ghee / marachekku oil even more comfortable, so that you can buy from anywhere by sitting at your home or outside! Our products are premium and better than any Standard Cold Pressed Oil that you get from the market. We are primarily focused to provide quality ghee, uthukuli white butter and edible oils at competitive prices. India’s First Exclusive Online Store for Ghee & Oils? Yes, we created this website in Jan 2015 which sells exclusive Pure Ghee & Oils only. At that point in time, we are the only one to sell Ghee in 3 varieties and 3 cold pressed oils. We used various search engine in multiple keywords before we decided on our caption. More than first, we only focused on giving premium quality products to our customers and a great customer experience. Today, it is a surprise even to us that everyone claims to be the first online store. By this you know how honest and trustworthy they are and the hype they give about their products. However, you can check the facts in the following link and compare the same with other websites by entering their website name. The following link will take you to the live global domain registry information page. Click this link to check the domain registration date. Do not get fooled by Sales Pop in some websites: Beware! In certain websites, you might see a lot of sales messages on the corner of the screen popping up every few seconds that “Someone has purchase xxxxx product from xxxxx location”; this is a fake sales popup, just to showcase that every minute someone is buying. In reality, even large e-commerce companies may not have such high sales. We also had this on our site for a brief period, however most users felt it is annoying, hence we had removed it. After all we believe in honesty and we will be upfront in telling you that we don’t make sales every minute but we are the No.1 online seller for Ghee & Cold Pressed Oils. Get 100 ML Free with every Litre of purchase! Yes, we sell in Kilo Grams that gives you 100 ML (approx.) free every time. We are the only store to sell in Kilo Grams, 1 Kilo Gram of oil weighed is approximately equal to 1.1 Litres. Rest everyone gives you in litres, it might weight only around 910 Grams. If you have a kitchen scale at your home, check yourself. Also we pack little over 1 KG, just to ensure that small leaks are not affecting the quantity. Get more value for your money. Why to use Unrefined Oil instead of Refined Oil? With several refined oil in the market everyone has this question in their mind, why should I not use one of the Refined Sunflower oil / Rice bran oil? The answer is simple, the process of refining came only in the last 25 to 30 years and during refinement some manufactures use petroleum based byproduct, which is very harmful to health. If you go back 30 years, your parent or grandparent would have sent you to a store with a small bottle / jar to buy chekku oil from a local store, until the refined oil capitalised the oil market. The main reason for people to start buying the refined oil was price and crystal clear oil without any residues. Using pure Marachekku oil will improve your health naturally without medicines. Uthukuli white butter is probably the best premium butter that you can ever get. Our customers buy this butter for making rich snacks, sweets and Biryani. This butter is taken from buffalo milk, which is rich in calcium. The richness and the quality of our butter cannot be matched by any other butter brand in the market. Also our uthukuli white butter is used by some of the top restaurants in Chennai. Since butter is a quickly perishable product, our Butterman ensures that the product that you receive is always fresh. As we do not use any preservatives, immediate refrigeration is required or consume within 3 days. Don’t believe us, compare it yourself and taste the difference. Why should you buy Mara chekku Oil & Ghee from us? We simply started this website as we did not find quality ghee & oils in the market, making profit was never our motto and we want to continue to same. This is one reason we never gave our product to any retail shops. Some of our customers buy ghee for their young/newborn babies and we never want to break their trust. You buy it once to experience it. This question comes in everyone’s mind as there are lot of options in the market with fancy containers. But still, we stand unique in this market because of the following reasons. Our Ghee is prepared traditionally without any machines and filtered using natural cotton filters. 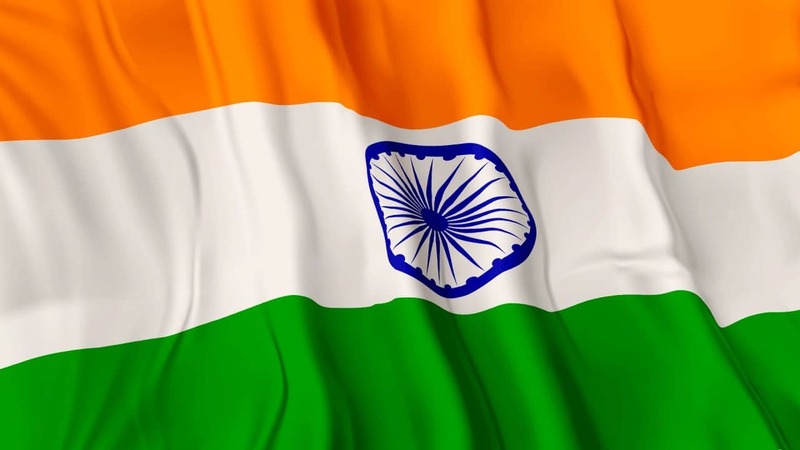 We deliver Marachekku Oil / Unrefined Oil / Chekku Ennai / Cold Pressed Oil / Cow Ghee / Buffalo Ghee across India with Chennai being our primary market. Our secondary markets are Bangalore, Hyderabad, Mumbai, Coimbatore, Madurai, Trichy, Salem, Erode, Tirunelveli, Vellore, Dindigul, Thanjavur, Ranipet, Sivakasi, Karur, Ooty, Hosur, Kanchipuram, Tiruvannamalai, Vaizag plus rest of South & North India. If you are living in Chennai, you can get free delivery of the products. Outside of Chennai is delivered via our courier partner however we will pack it safe to avoid any leakages. We do not ship Butter outside of Chennai due to the nature of the product. The delivery outside of Chennai is restricted to 10 Kilo Grams as of now, which we will increase in future. Our motto is to sell high quality, pure and premium quality ghee and cold pressed / wood pressed / chekku / marachekku oil to the customers! Because you are probably buying the best product in the market, just go ahead and order now! Are you looking for a genuine online shop to buy Pure Ghee / Buffalo Ghee / chekku oil / marachekku ennai / marachekku oil / ghani oil / cold pressed oil / wood pressed oil online? You have landed at the right place and GheeStore offers the best products that you can ever get! Our products are 5 Star Rated, which can even be given to new born babies without any worries. Our advice, while our products have a shelf life of 6 months, we recommend that you buy in quantities that can be consumed in less than 3 months. This will ensure that you consume fresh marachekku oil or ghee every time. In addition to this, store it in air tight containers and away from direct sunlight. Except butter our products can be kept at room temperature. We are India's First Exclusive Online Store created only in the intent to deliver quality products, not profit making and we mean it. We have no offline store any where in India. If you see something, they have just used our name. Our name is a registered TradeMark in India. We sell in Kilo Grams, 1 KG is equal to 1100 Milli Litre, get more every time. Have Ordered ghee, sesame oil, cow butter. All are of excellent quality. The butter was really nice brought back memories when we used to have similar home made butter over 30 yrs ago in our house. Will order again for a refill. We regularly purchase from GheeStore.All the products are really organic and tasty. GHEE store is really hygienic choice for any end user. I suggest everybody to go for this. I like their informative website & the ease with which we can place the order online. I also loved the home delivery option. Quality of the oils are great. Will definitely recommend to others. Have been now a regular customer for Gheestore now and find the ghee of very high quality. Infact lot of people who are used to brown ghee have been impressed as well. The ghee smells great and genuine. It enhances the taste of every meal we add this ghee to. I have been giving this ghee to my baby since he was 10months old and he loves it too. I have been ordering from the online store for the past 1 year I have ordered the Ghee, Sesame and Groundnut oil The products are excellent The smell and taste of the ghee and oil is great The delivery to Mumbai is quick and the packing is very good. Very good quality genuine cows ghee.I ordered and was delivered quickly and the aroma was just awesome ..thank u GheeStore.. Prompt delivery, decent products and packaging, ordered ghee butter and oil. The aroma was so beautiful that took my memories to my village, like home made butter. This is truly an ultimate and genuine taste one cud ever get; despite umpteen adulterated products in the market they have still retained the authentic taste. Good quality of oils. I am a regular customer buying sesame oil, ground nut oil and coconut oil. it gives flavors to the cooking. Excellent service and quality .Highly recommended. feels so good to have quality products . Please continue to provide us your amazing products. Now, after 15 months, I am still a customer of Ghee Store and of-course they are maintaining the quality. Very Superior Quality of Premium Ghee, Coconut oil and Groundnut Oil cold pressed. I am a customer of gheestore since 2016. Excellent products. Great value for money. Recommend to others. Excellent services. Best quality and taste. I’ll suggest you to all. Ghee was awesome. I suggest it to all my friends and relatives. Regular buyer of oil & ghee.Genuine & good.I like it.Thank you Gheestore. Awesome quality and delivery on time! One of the best ghees available in the market.